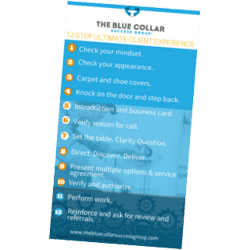 Use this poster as a supplement and visual reminder of the 12 Step process that is the foundation of The In-Home Sales Acceleration book, Service Sales Success School and Service Sales Success School Online. This poster is designed as a teaching and coaching aide for you and your team. 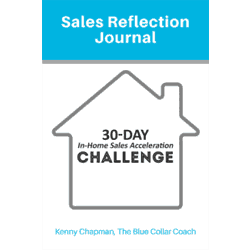 The 30-Day In-Home Sales Acceleration Challenge is a powerful tool designed to help technicians and salespeople take their results to the next level in 30 days or less. This download includes complete instructions and printable journal pages to track sales progress and increase momentum. 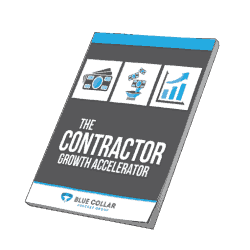 Contained in this special Contractor Growth Report is an exclusive interview Kenny did with the owner of our case study company. See how you can learn from his path, mistakes, and challenges as you grow your own company to the levels you desire. In this report, you’ll learn how to alter your strategies and direction in order to start seeing the results you desire. 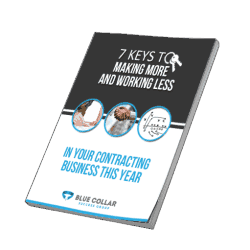 The “Seven Keys” outline some fundamental concepts that (regardless of business size) will truly help to amplify your success. Schedule a Discovery Call with one of our coaches now! Training meetings should never be left to chance. The time you dedicate to training is too valuable not to take seriously. Our Instant Meeting Makers help you pre-plan for your upcoming tech meetings by providing a simple yet intentional training video running an effective training meeting. This tool helps your techs improve their introductions when out in the field and is one of our newest Instant Meeting Makers!